Spend an enjoyable day learning about Mandalas.Topics include the history of mandalas, conception of ideas, demonstration of various mediums and the myriad of tools used. Kristi will touch on many mediums and techniques including sepia ink and quill pen, wax resist, watercolour, linocut, metallic leafing, collage, glass beads and more​. Coast Collective Arts Centre.~ OPUS Art Supply.~ Moss Street Paint in. "Forget me not, Métis Rose: The Far West"
"Meadow Amethyst (Camas) and Garry Oaks". 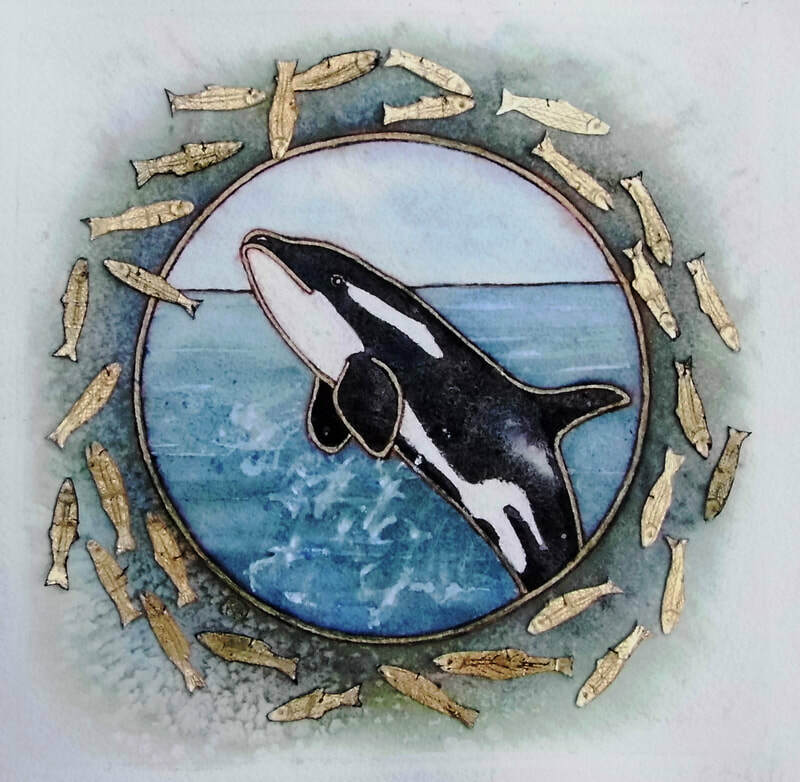 "Tahlequahs message" Resident Orcas and Chinook Salmon".